At approximately 5:30 p.m., Rockford Fire Department responded to the 500 block of North Main. The first due companies did a great job and were able to get a quick knockdown of the fire. One person Is being treated for minor injuries. The cause has been determined to be accidental. Working smoke alarms were able to notify occupants at this fire. 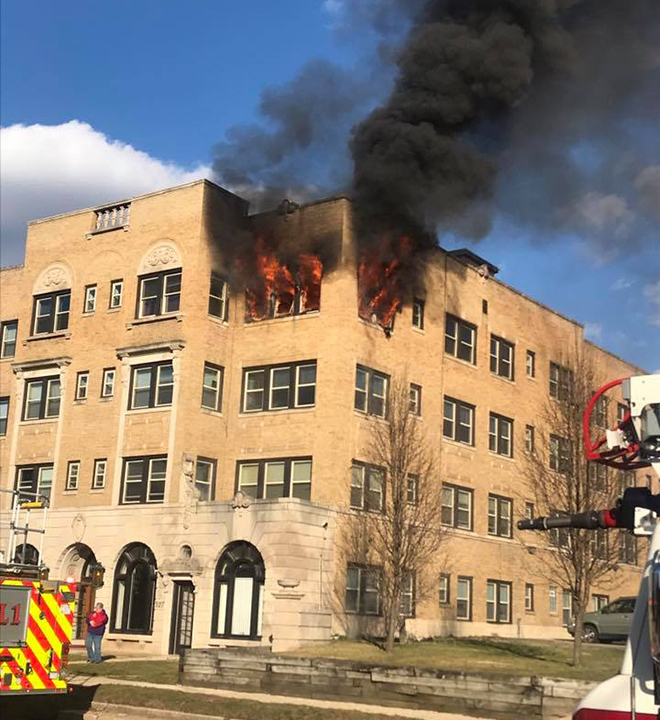 The Rockford Fire Department was dispatched for a structure fire in a three story apartment complex. The first arriving fire company reported fire on the third floor and they were deploying a fire attack line. Additional fire companies provided a water supply line, back-up attack line, ventilation, controlled utilities and performed a search of the residence on all of the floors. The fire was brought under control eight minutes after arrival with fire damage contained to one apartment, primarily the bedroom and closet. There were working smoke detectors inside the building. One person was injured and transported to Swedish American Hospital. The Red Cross is providing temporary housing for two adults. Firefighters on scene were able to rescue a cat from the apartment, and administered oxygen via a pet mask. The care of the animal was transferred to animal control personnel. Fire Department personnel were on scene until 7:34 p.m. No injuries to any firefighters during this incident.